Why don't skydivers fall off into space? Do heavy objects fall faster than light objects? 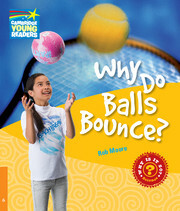 You can find the answers to these and other questions about gravity in Why Do Balls Bounce?